Explore the links below for some examples of how makerspaces are being incorporated into both academic and public library settings. Many of these makerspaces include 3D printing services, but most expand beyond to offer a number of different services to library patrons. If you are thinking about partnerships with local independent makerspaces, you can start with the Maker Community Groups and Spaces list. Click on the name of a library's makerspace or the library's name to visit its website. I have also included links to some additional information where available. If I haven't listed your library, please contact me and I'll be happy to add it! UPDATE 7/9/15: I have begun to duplicate this information on a Google Map to help people locate library or museum makerspaces near them. University of Alabama in Tuscaloosa, AL has makerspace facilities located in the Rodgers Library for Science and Engineering. The facilities include a 3D Studio, 3D Printing Lab, and a makerspace that offers additional services such as laser cutting along with access to Arduinos and more. Bergen Makerspace exists as a partnership between Bergen County Technical Schools and Bergen Community College. It is located in Hackensack, NJ. Facilities included are a Bergen County Technical Schools MakerSpace Lab, a Bergen Community College Manufacturing Lab, and a Bergen Academics Makerspace. The MakerLab at the Albertsons Library is a network of spaces and resources that support Boise State’s mission to facilitate collaboration, learning, and use of emerging technologies to turn ideas into reality. On the first floor, you’ll find a collaborative learning space with 3D printers, a green screen, lighting, a vinyl cutter, microcomputers, whiteboard wall, computers, and the software necessary to support audio, video, and 3D design. A sound booth on the 4th floor serves as a private space with sound proofing to record and edit audio and video. ​Faculty and staff at the library are available to help users complete projects through one-on-one instruction, or in group workshops. 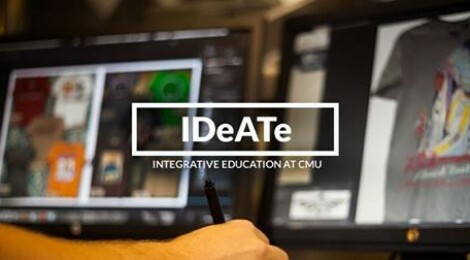 IDeATe@Hunt is a makerspace in Carnegie Mellon University's Hunt Library which supports undergraduate (and increasingly graduate) level programs in integrated arts, design and technology. Facilities include extensive laser and 3D printing labs, design studios, physical computing labs, a fabrication workshop, a black box performance studio and adjacent sound room. The College of San Mateo in California hosts a makerspace in its library, offering crafting and tinkering workshops, events, hands-on projects, and skill-sharing. Students can also join the CSM Makerspace Club. Columbia University's Output Shop, a part of the Graduate School of Architecture, Planning, and Preservation, offers 3D printing services along with laser cutters and design-jet plotters. Hudson County Community College in Jersey City, NJ is home to a makerspace located in the library building. The space is open to students and staff, as well as community members. Københavns Universitet's Innovation Lab is located in the Faculty Library of Natural and Health Sciences. The Lab offers 3D printing and scanning services, along with access to tools such as Arduino, Raspberry Pi, and Lego Mindstorm that can be borrowed from the library. The 3D Lab at University of Michigan is located in the Art, Architecture, and Engineering Library and offer services to the campus community, such as 3D printing, 3D scanning, virtual reality, and motion capture. Another example of an academic library offering 3D printing is the DeLaMare Science and Engineering Library at the University of Nevada, Reno. The library offers campus-wide 3D printing services. The SELF (Student Education Learning Factory) Design Studio is part of the Teacher Resources Center in the School of Education at the University of North Carolina at Greensboro. The studio offers access to free training sessions, as well as tools such as LittleBits, 3D printers, squishy circuits, sewing machines, Lilypad e-textiles, Raspberry Pi, and more. Located in the Hunt Library at North Carolina State University, the Makerspace includes 3D printers, laser cutters, and 3D scanners. The facility serves all current faculty, staff, and students. Portland Community College in Portland, OR has its own makerspace, which is not part of the library but has projects that are heavily library-supported.. The space has a variety of equipment including 3D printers, CNC machines, sewing machines, and more. Fordham FabLab is located in the Douglass Library at Rutgers University's campus in New Brunswick, NJ. The FabLab offers 3D printing services to all members of the Rutgers community. While not located in the library, the Innovation Lab at Stony Brook University in New York holds workshops, offers access to a number of useful tools, and allows members of the campus community to become members of the space by completing a half-hour orientation. Penfield Library at SUNY Oswego offers 3D printing and scanning services to faculty, staff, and students. Patrons can also make use of the Multimedia Production Room, which includes both hardware and software. The library holds maker events every semester with a variety of activities, such as knitting, sewing, circuitry, papercraft, and more. The University of Texas at Arlington is home to the UTA Fab Lab, which is affiliated with MIT and fits into the UTA Libraries' plan to ignite Creativity, eXploration, and Innovation (CXI). The Fab Lab includes 3D scanning and printing technology, along with CNC tools, a sewing machine, and more. The Knapp Media and Technology Center is located in the Margaret Clapp Library at Wellesley College. The Knapp Center has introduced a number of maker tools available for use by faculty, students, and staff, including 3D printers and scanners, Leap Motion Controllers, Kinects, and more. At William Jewell College in Liberty, MO, the Pryor Learning Commons is home to a range of maker tools, including a 3D printer, audio/visual creation and editing equipment, green screens, "innovation studios" for collaborating on projects, and more. Allen County Public Library in Indiana has partnered with TekVenture Maker Station to set up a makerspace inside a trailer in the library parking lot. They have workshops, are open to the public for specific hours, and also host Maker Meet Ups, when people can meet to collaborate and work on projects. 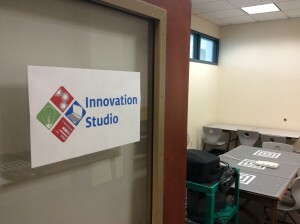 Rangeview Library District in Colorado has developed The Studio, creation labs that provide teens with a range of both digital and physical tools and connections to community makers. There is a version of The Studio in two of their Anythink Libraries--Anythink Wright Farms and Anythink Brighton. The Creation Station is part of the St. Helena branch of Beaufort County Library in South Carolina. It includes a production lab, a sound studio, 3D printers, Arduino kits, bristle bots, LittleBits, and more. While the tools reside at the Creation Station, they are mobile and often used at other branches. The Creation Station, located in Broward County Library in Florida , is a makerspace and gadget lab that offers the community resources, technology, and programming. The library also celebrates Makers Day and Maker Month with a variety of events. Carnegie Library of Pittsburgh features a digital media lab where teenage patrons can create movies, music, and photographs, learning useful skills from mentors who also lead weekly workshops. There is a version of the Labs in three different branches, as well as pop-up Labs on Location programming in various branches. A project of Chicago Public Library's Innovation Lab, the Maker Lab was created out of a partnership with the Museum of Science and Industry. The Lab is located at the Harold Washington Library Center and offers equipment, workshops, open lab hours, and drop-in demonstration hours. Cleveland Public Library's TechCentral is a makerspace that includes not only a 3D printer, but also classes, events, and a number of other technology services. DC Public Library's Martin Luther King, Jr. Memorial Library is home to the Labs, which includes the Digital Commons, Dream Lab, Fab Lab, and Studio Lab. These labs offer collaboration rooms, 3D printing, 3D scanning, digital production equipment, an Espresso Book Machine, and more. The library also holds workshops on using the equipment and on topics such as audio storytelling, computer programming, and more. 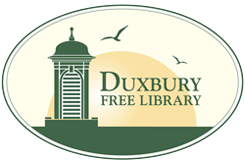 Duxbury Free Library in Duxbury, Massachusetts has maker activities for a wide range of patrons. Mad Scientist Mondays are geared for elelentary kids with open-ended play with LiitleBits, Legos, and simple physics experiments. Tech Tuesdays have programs for middle schoolers in the afternoon involving Arduino, simple soldering projects, and stop motion programs, while the evenings are geared for adults with a focus on conversion of family video and photos from analog to digital, classes on Adobe software, marketing, etc. Fayetteville Free Library in NY has set up a Creation Lab and a Fab Lab. The Creation Lab is a digital media creation space, while the Fab Lab features equipment such as 3D printers, a CNC mill, sewing machines, jewelry making tools, and more. The library also hosts a Little Makers area where children can play with toys such as Goldieblox, Roominate, Bionic Blocs, Legos, and more. Using a grant from the Maker Ed Initiative, the Free Library of Philadelphia hired a group of makers with a wide range of skills to mentor youth and help them explore the maker movement. The Clear Lake City-County Freeman Branch of the Harris County Public Library--located in Houston, TX--is home to the Jocelyn H. Lee Innovation Lab. 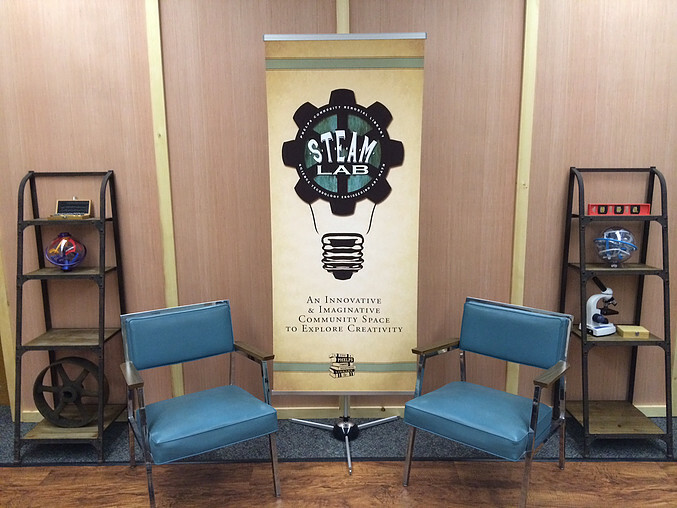 The lab was founded after the library received a generous bequest from patron Jocelyn H. Lee, and was created in partnership with a local maker group called CreatorSpace. Make It at the LIbrary is a project focused on creating makerspaces in Idaho public libraries. Currently, there are 19 participating libraries: Aberdeen District Library, Ada Community Library, Bear Lake County Library, Buhl Public Library, Burley Public Library, Caldwell Public Library, Community Library Network, DeMary Memorial Library, East Bonner County District Library, Gooding Public Library, Jerome Public Library, Marshall Public Library, Meridian District Library, North Bingham County District Library, Payette Public Library, Portneuf District Library, Snake River School Community Library, Shoshone Public Library, Twin Falls Public Library. Innisfil Public Library is located in Innisfil, Ontario, Canada. 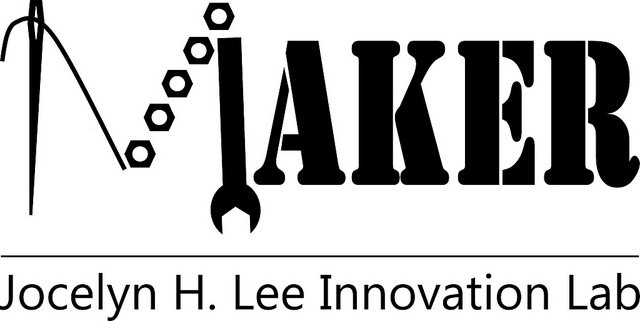 The library's Lakeshore Branch is home to the ideaLAB, which includes a Hacker Lab--promoting a "hacker ethic" and giving patrons access to 3D printing, vinyl cutting, and more--and a Digital Media Lab. The Hive at John F. Germany Public Library in Tampa, Florida, includes a makerspace, robotics center, arts center, media:scape pit, recording studio, and flexspace. The Hive also regularly holds events, including workshops. The Johnson County Library in Kansas has makerspace equipment in their Oak Park and Gardner branches. The spaces are open to patrons of all ages and offer a variety of multimedia creation software, a 3D printer, video equipment, a sewing machine, soldering equipment, and more. The library also holds Mobile Makerspace events at various branches. Keene Public Library in Keene, New Hampshire is home to a 3D printer and offers hands-on labs and demonstration drop-ins during which patrons can interact with the printer. The medialab at Lomira QuadGraphics Community Library in Lomira, WI offers a space where patrons can use a wide variety of tools to create and explore. The makerspace will also hold classes and workshops. The makerspace at Loudoun County Public Library in Virginia is called MILL Studio - Makers in Loudoun Libraries. MILL Studio, located in the Gum Spring branch, provides patrons with equipment such as Arduino, LittleBits, Makey Makey, music recording tools, and more, while also offering classes to learn the equipment. Other library branches in the system hold events regularly to spread the creative learning. The Bubbler is the makerspace of Madison County Public Library' in Madison, WI. It offers not only tools but also workshops, lectures, demonstrations, performances, and more. The Bubbler is also home to an Artist in Residence program that draws from local community makers. Matteson Public Library in Matteson, Illinois is home to a Cubify 3D printer that is currently used in conjunction with Youth Services Programs. 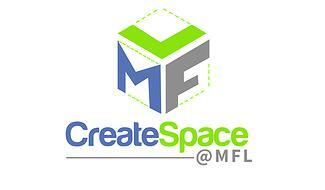 Middletown Free Library in Media, Pennsylvania has developed CreateSpace, including both a makerspace and digital media lab. CreateSpace is for patrons of all ages and it offers equipment, programs, and workshops, as well as summer Maker Camp activities. The Morse Institute Library in Natick, MA has a makerspace called the Innovation Studio, offering technology such as a 3D printer, telescope kit, Arduinos, stop motion animation, 3D Doodler pens, and more. The space holds a number of events, and also is home to a teen maker club. The Peabody Institute Library in Peabody, MA is the home of the Creativity Lab, featuring 3D printing, milling, laser cutting, sewing, embroidering, woodworking, sound recording, large format printing,and more, in a 1500 square foot area. The Library offers classes free to the public in all of these areas, plus arduino, programming, circuitry, basic electronics, Adobe Creative Suite, and much more. The space is staffed by a full-time librarian. Arizona's Phoenix Public Library is home to MACH, a space for makers, artists, crafters, and hackers. The makerspace is open to both teens and adults, and holds programs daily in a number of different maker-related areas. Library 21c, a part of the Pikes Peak Library District in Colorado Springs, CO, is home to two public makerspaces, Make and Make II. Make is for projects that do not use power tools, while Make II offers a space for using power tools and advanced machinery. The Creative Computer Commons also holds a Business & Entrepreneurial Center, a Public Media Center, and more. Located in the Main Library branch of The Public Library of Cincinnati and Hamilton County, the MakerSpace offers access to 3D printers, audio and visual equipment, laser cutters and engravers, sewing machines, cameras, and more. The MakerSpace also plans activities listed on its event calendar. The Teen Center at the main branch of Richland Library in Columbia, SC, is a makerspace with 3D printers, a recording booth, Adobe Creative Cloud software, various gaming systems and a continuously updated schedule of creative and fun programs for the teens. Sauk City Public Library in Wisconsin has purchased a 3D printer as its first step toward offering a makerspace and helping the library become a place of creation. Seminole Community Library is both a public library and a college library. In June 2014, the library opened an Innovation Lab including a 3D printer, a variety of electronics kits, and more. Skokie Public Library in Illinois has set up a digital media lab where users can work on a number of projects, including digital videos, music, photography, graphic design, podcasts, websites, and more. The lab also offers access to online tutorials and devices such as digital cameras that can be checked out. 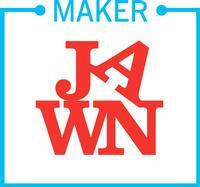 South Butler Community Library in Saxonburg, PA has a set up a publicly-accessible 3D printer. The library also offers Intro to 3D Printing classes and holds daily printing sessions, allowing patrons to make use of the technology. Creative Experience is a digital makerspace at St. Louis Public Library that features tools for creating media. Visitors can use spaces called Pods that are stocked with software and hardware for creating various types of multimedia, and there is also a Recording Room where patrons can make anything from podcasts and spoken word poetry to music. Hatch is the makerspace of the Watertown Free Public Library in Watertown, Massachusetts. While technically located outside of the library, it is an initiative of the library. Hatch provides space and tools, as well as the opportunity to learn from volunteer skill mentors or to take a class. Westport Public Library in Connecticut has its own makerspace, which includes a 3D printer. At certain set times, the printer is demonstrated and the public can learn about how it works. The makerspace also hosts a number of special events. The Studio is Winnetka-Northfield Public Library District's makerspace, located in the Winnetka Library in Winnetka, IL. The space offers access to a variety of equipment for 3D printing, sewing/embroidery, multimedia creation, laser cutting, and more. The Studio also holds programs and classes open to all library card holders. Located in Urbana, Illinois, the Urbana Free Library hosts a Teen Open Lab, during which teens can hang out and create. 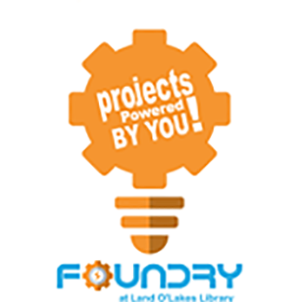 The library has also partnered with two local makerspaces to hold a number of workshops for both teens and adults.